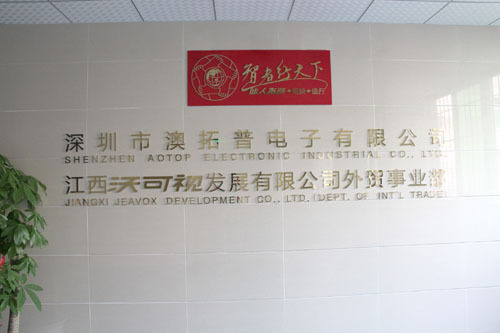 Aotop Electronic Industrial Co.,Ltd. was founded since 2005, is a high-tech enterprise which is integrated with R&D, production, sales and service as a whole. Our main product lines are: Rearview safety system, vehicle camera system, vehicle LCD monitor, smart mirror GPS/DVR, other automotive electronics. Aotop has passed ISO9001 certificates and all of products carry with CE, ROHS, E-MARK, FCC certificates, with support 2 years warranty. Our Vision: To be the leading supplier of vehicle rear view system. Our Mission: Driving safely for every driver; Benefit each customer. Business concept: customer is always the pursuit of the company, employees are always the pillar of the company, company is always the hope of employees!